The fourth season of Vikings has been presented in an interesting format, as the first three seasons counted only ten episodes each, the fourth immediately went for a double amount. Nonetheless, the season was split in half and truth be told, they could have been separate seasons altogether as they revolve around completely different things, during rather different points in time. Many years have passed and Ragnar returns to Kattegat when his sons are all grown up, hoping for a new campaign in England, but finding the necessary troops will prove harder than imagined. After the English and French campaigns, Ragnar (Travis Fimmel) returned homewards, just not to be with his family and friends. It’s clear that Ragnar was never the same again, after losing his precious friend, Athelstan. Nonetheless, years have passed and his sons are all grown up, when Ragnar suddenly appears back in Kattegat, only to be greeted by a silent crowd and his sons who also don’t know what to say to their father. Bjorn (Alexander Ludwig) is clearly the leader of the pack, as he has been achieving his own goals and gaining the necessary reputation. While most sons are clearly not happy to see their father, or at least not sure how to react, it’s Ivar (Alex Høgh Andersen), the crippled son, who seems to be the happiest to see his father, even though he never supported Aslaug (Alyssa Sutherland) to mother him so, and even let him survive as a child, because of his deformity. Overall this season handles three topics at the beginning, namely Bjorn wanting to sail to the Mediterranean Sea, where he wants to explore new lands, come home with new loot and raid unknown shores. Hvitserk (Marco Ilsø), one of Ragnar’s other sons, joins this Viking crusade, throwing him in his first actual battles to come. In the meantime Ragnar tries to raise his own campaign, convincing men by giving them all the spoils of war he gathered over his many earlier campaigns. 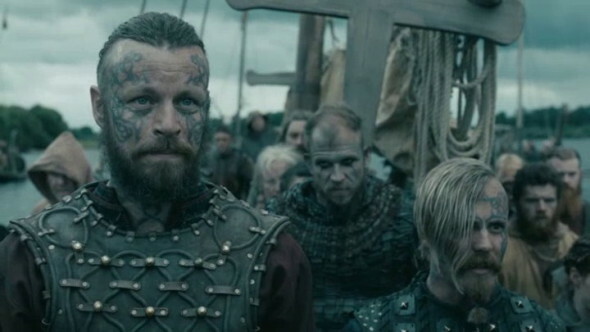 He even asks Ivar to join him, something that would have seemed odd at first, but given the desperate situation he is in, he can use everybody, able or not, to exact his wrath against England. It’s clear from the start that this mission will end poorly for the Vikings, but that’s part of the charm of this second piece of the fourth season. The last topic is Lagertha (Katheryn Winnick) trying to take back Kattegat from Aslaug, who she sees as a witch, who took away Ragnar from her. Overall the pacing is the same as the other seasons, where the main storyline takes the lead of the entire series, with minor problems and other situations each being handled individually per episode or several episodes at a time. It’s clear that this part of the season will revolve more about the sons of Ragnar, with Ivar and Bjorn at the head of the pack. Ivar has become a very interesting character thanks to his disability and his tantrums. The latter is clear when he is bickering with his brothers, who see him for what he is: an angry cripple. This season however, Ragnar pushes Ivar forward, allowing him to become something a lot bigger than a normal cripple would have been able to become in the Viking society. Acting performances are on par with the previous season, albeit with the main cast a bit older, more weathered and a clear emphasis on the younger characters who will soon take on the mantle from their older counterparts. The most interesting character of this season is probably Ivar, who is played by Alex Høgh Andersen, who perfectly depicts the rage-filled cripple, who wants to be a Viking above everything else. He puts down the troubled mind with ease, and he makes the character a very convincing one, even given the circumstances that in a normal Viking culture he would have been left to die at birth. 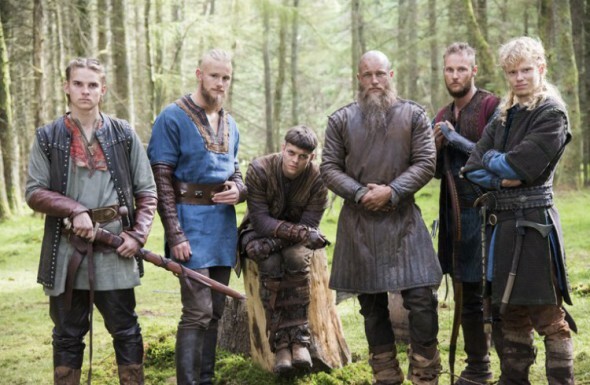 As far as extras go on the Blu-ray edition of the second part of the fourth season, you’ll be treated to deleted scenes, audio commentaries, a featurette revolving around the strong female characters of the series, a piece dedicated to Ragnar himself and lastly one about the conquests of Bjorn Ironside, Ragnar’s son. Outside of the deleted scenes and commentaries, you’ll get a half hour worth of extra content, which is rather interesting, albeit not really that breathtaking. The second part of the fourth season of Vikings is an interesting continuation that is putting new characters in the spotlight, ultimately to put them at the helm of the show, or at least make them more significant in the grand scheme of things. 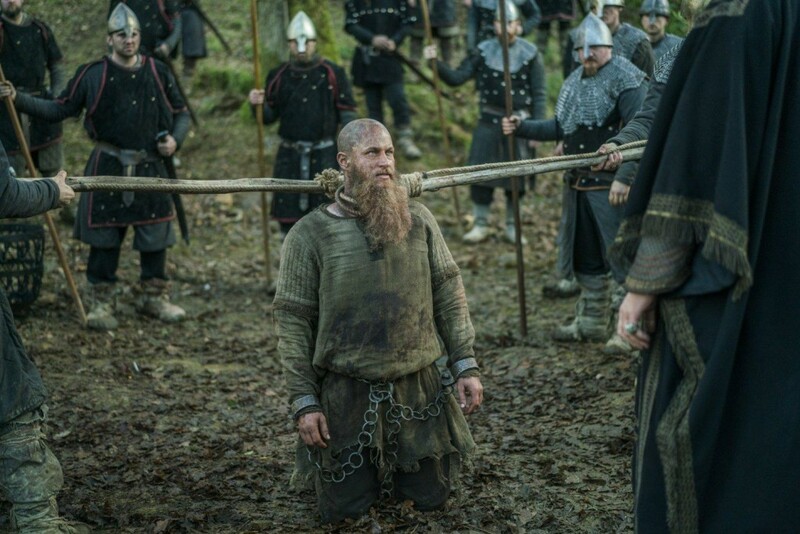 There are still more than enough interesting story development and action sequences to go around, making Vikings a very strong series, even at the end of the fourth season.